People prefer to Skype on their phones, even in the living room. If you have a smart TV that runs Skype, don’t be surprised if the app stops working a few months from now. Microsoft says it will stop supporting Skype for TV in June. At that point, TV makers may decide to remove the app from some or all of their models. Even where the app remains available, Microsoft won’t deliver any more updates, which means the software could become unstable or fail to work. Skype first arrived on smart TVs in 2010, one year before Microsoft acquired the video chat company for $8.5 billion. The TV integration received a fair share of hype, with a big announcement at CES and with Panasonic and LG as launch partners. But while Skype was reportedly installed on tens of millions of TV sets, using the software required a separate camera, specially designed for the TV. (The service wasn’t compatible with regular computer webcams.) Beyond the additional hardware cost and setup efforts, consumers have been a bit skittish about installing cameras in their living rooms. In a support document, Microsoft says most users prefer to access Skype on a smartphone instead—even with a TV right in front of them. For now, Microsoft hasn’t said anything about abandoning Skype for Xbox One, which makes use of the console’s Kinect camera. 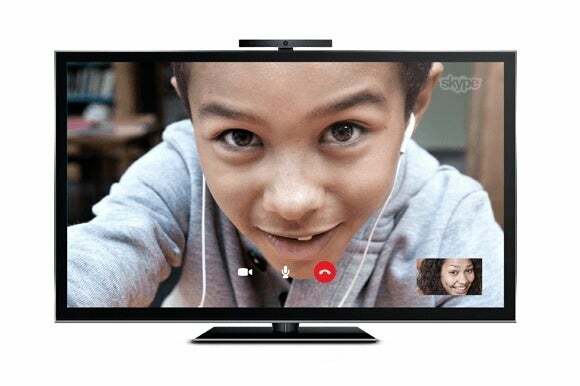 But given Microsoft’s wishy-washy commitment to Kinect in general, and its newfound lack of interest in big-screen video chat, it’s hard to imagine the software seeing much love from here on out. Why this matters: Video chat on TV is one of those ideas that’s better in theory than in practice. Compared to a phone or tablet, chatting on the TV almost feels like having someone in the room. Unfortunately, the barriers to making it work were just too high, and Microsoft—now fending off competition from Apple Facetime, Google Hangouts, and Facebook Messenger video calls—wisely decided to focus on where the users are.